Performance Metal Roofing | Slate Roofing | ME and NHPerformance Roofing, Inc.
It’s easy to see the value in buying Slate Roofing. While the upfront cost of Slate Roofing may be more than that of an asphalt roof, the overall lifetime cost is significantly less. Consider this: while an asphalt roof may be less expensive, it will need to be repaired or replaced 10 to 15 years later. 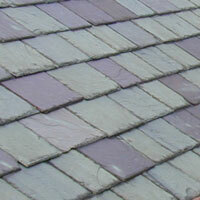 Slate Roofing, however, can easily last up to 50 years or more. Slate Roofing in ME and NH have other benefits, too, including reduced energy costs, reduced insurance prices, less likelihood of structural damage due to harsh New England weather and increased resale value of your home through home appreciation. Not every slate shingle is created equal. In fact, Pennsylvania-quarried slate shingles may only come with a life expectancy of 40 to 50 years. The disparity has to do with the material’s makeup. Slate Roofing offers that classic look that features a traditional distinctive style, reinforced with the strength and longevity of slate. Available in a variety of natural earth tone colors, these colors incorporate a subtle natural shadow, which enhances the richness and detail of the roof. Why Maine and New Hampshire Should Hire Us for Slate Roofing and Repairs? Performance Metal Roofing serves customer’s roofing needs just as they would expect their own to be provided. This is why we have integrated the roofing technologies training program into our business to ensure that every Performance roofer we employ is trained and qualified. This is just another way we are constantly improving the services we provide. Performance Metal Roofing is a FULL SERVICE Roofing Company. If you are looking for roofing repairs that can handle all related repairs just call (207) 430-3868 or complete our online request form. Need an estimate? Contact us to schedule an on-site consultation. Don’t You Want a Contractor You Can Trust For Quality Workmanship? What sets us apart from other Maine and New Hampshire roofers or remodeling contractors is our unique pool of talent, willingness to get creative with you in the design of your project and our passion for meeting our customers’ needs. We want to take care of you, not take advantage, which explains the many satisfied customers who keep calling us for their home improvements.